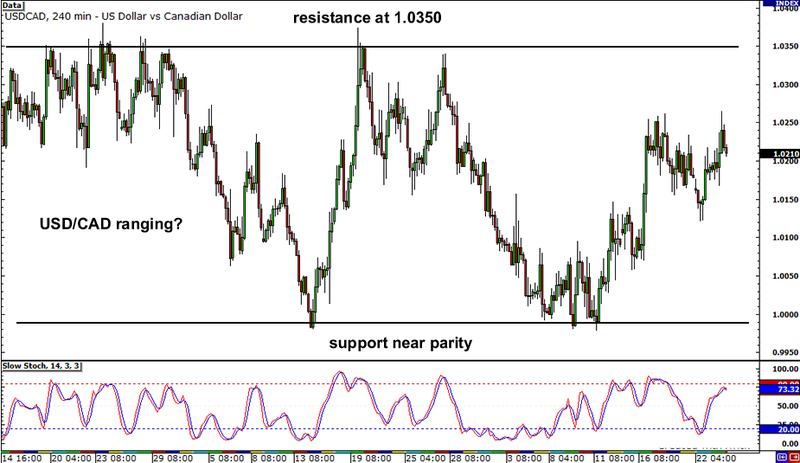 Can USD/CAD keep climbing? 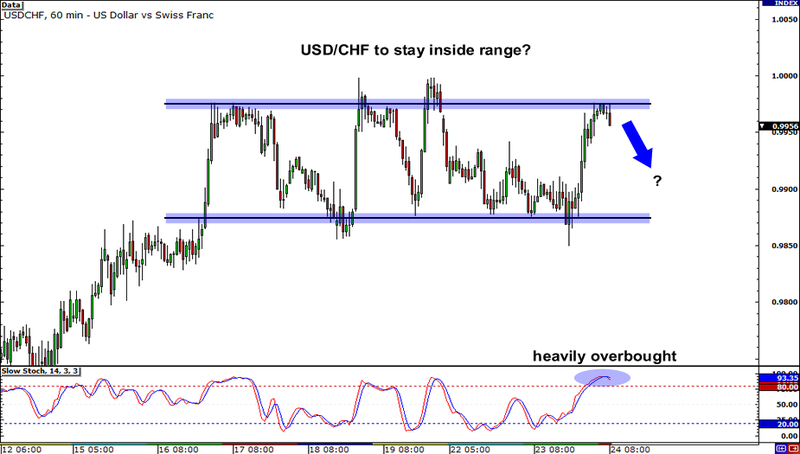 Looking at the 4-hour chart, it seems like the pair is aiming for the top of the range at 1.0350. Notice how that level kept halting USD/CAD’s rally and pushing the pair back down? 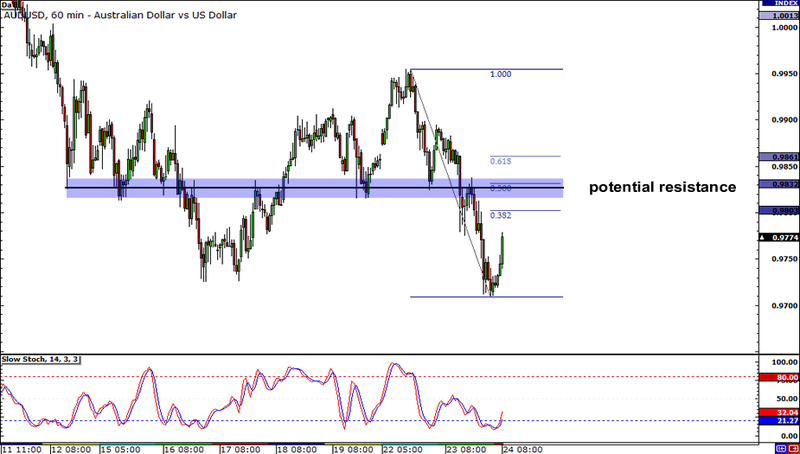 With stochastic nearly in the overbought zone, we might just see a turnaround once USD/CAD reaches that resistance level. If the pair drops, it could fall all the way down until support near the 1.0000 handle. Make sure you’re ready with your orders in case that happens! Aside from USD/CHF, what’s up, playas? If you’re into playing ranges, this pair’s got just the thing for you! Just a couple of hours ago, price retested resistance at around .9975. Upon seeing the retest, sellers immediately jumped into action and pulled the pair down. Now, if you take your cue from stochastic, which is signaling overbuying, and think that sellers will dictate price direction for the rest of the day, look to bag profits somewhere near the bottom of the range. But stay on your toes because a break above parity could be a sign that the bull run has plenty of fuel to keep going. Looking so fly like a G6 right now, AUD/USD! But I have a feeling the pair may encounter resistance somewhere near the 50% Fib level on the 1-hour chart. If you take a close look, you’ll see that this is an area of interest as it has served as support and resistance in the past. Siding with the bears today? Look to short the pair back down to support at around .9730. But of course, there’s always a chance that price will ignore this level this time around and just keep rising.